Economic development is woven into the fabric of the work that chambers of commerce do, day in and day out. 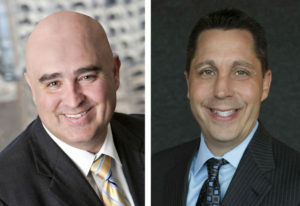 In this co-authored viewpoint article, Greater Phoenix Chamber of Commerce CEO Todd Sanders and Glendale Chamber of Commerce CEO Robert Heidt discuss how the role of chambers of commerce have evolved, the significant impact that chambers of commerce have on the overall quality of life and perception of our communities, as well as how chambers are essential to economic growth and catalysts who bring about change. This economic blocking and tackling is a natural fit for chambers because it has always been in our wheelhouse; in essence, it is woven into the very fabric of the work we do, day in and day out. And the reason is as startlingly simple as one single word: jobs. Simply put, economic growth means job growth and job growth means strong and vibrant communities. We cannot do it alone. Chambers of commerce complement other economic development players by collaborating on the big picture, rather than acting contrary to those efforts in a vacuum. We all share a common goal to grow the region. And it’s up to all of us as a community to make sure businesses stay here. We’re in this together. View online here to read the op-ed in its entirety.